i’ve made a few friends here in lisbon that i go surfing with. they go often and the beach is close, so i have been out a lot lately. 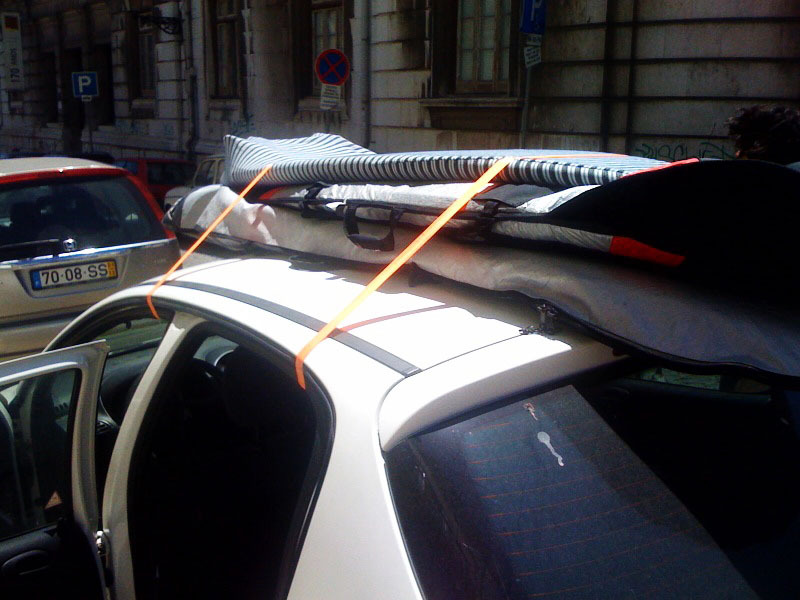 no one here seems to have roof racks on their cars, so they just strap the boards to the roof of the car and head to the beach. it actually works pretty well. 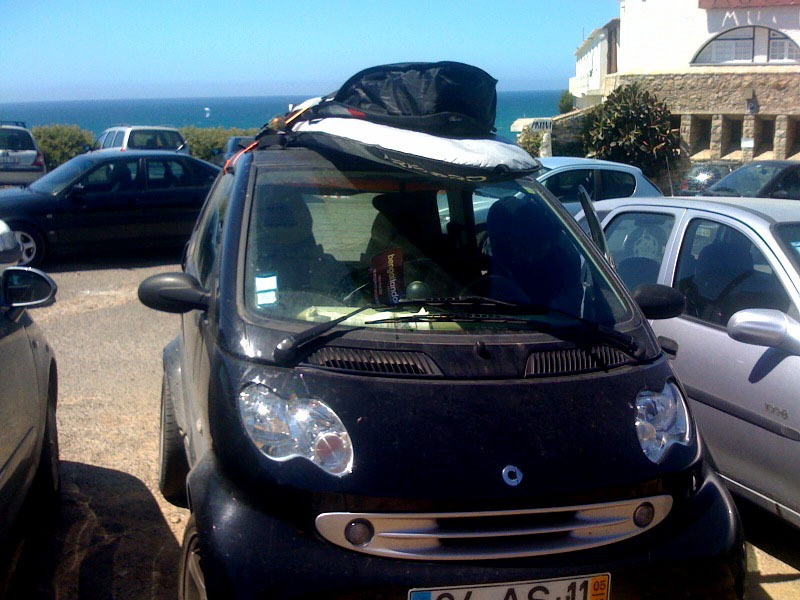 one of the guys has a smart 2 seat car, and we just strap them to the top of his car too. the first time we got on the freeway i thought the wheels were going to lift off the ground. the first flying smart car would be pretty cool though.